Electrical outlets and switches are a normal part of day to day life. They ensure that you have access to the electricity you need to watch television, power appliances, charge your cell phone, and operate your computer. They seamlessly fit into regular activities, and often go unnoticed until they no longer work or do not operate as needed. If you have a space that is abundant in electric powered appliances, adding additional outlets can provide relief for overburdened circuits. If you need electrical outlet wiring or light switch replacement services in the Oregon City and surrounding areas, Simply Shocking Electric is available to serve you. Electrical outlet wiring and light switch installation services are also needed when adding new appliances to a home or property. Sometimes, the perfect spot for your new appliance does not have an outlet to provide it with power. Simply Shocking can help you with this issue by conducting electrical outlet installation service. Perhaps you want to install outdoor garden lights, or you purchased a new hot tub that requires the assistance of an electrical outlet; Simply Shocking can help you with that as well. The electrical outlet installation service also includes outdoor applications too. Another popular service is light switch installation for both indoors and outdoors. Sometimes rooms do not have sufficient lighting, and instead of a bulky standing light fixture why not install a new overhead light and light switch to brighten up the space. Additionally, many folks are installing outdoor lighting for security and recreational purposes which also necessitates the need for additional light switches. When you choose Simply Shocking for trusted electrical outlet and light switch installation services, a competent electrician will take the time to identify ground fault electrical circuits before performing any work. Adding outlets and light switches can provide many conveniences in daily living at a reasonable price. 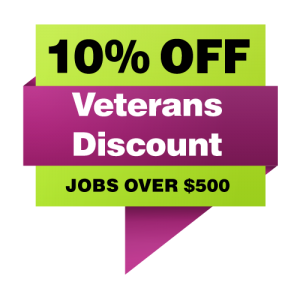 You can be sure you are in competent hands, and the job will be conducted by an experienced professional. 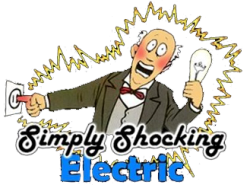 Simply Shocking proudly provides electrical outlet testing, replacement and installation services for any situation. If you require service for faulty outlets or switches, want to add an appliance, or are undergoing a remodeling project Simply Shocking would be pleased to serve you. Contact us for a free estimate!